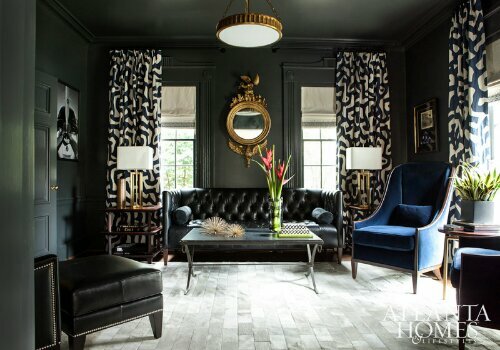 Designed by Margaux Interiors, this “ladies drinking parlor” is fabulous. I mean, a room devoted to drinking? A mom cave or a lady cave where no men are allowed. I love that idea. They can keep their cigar room….we will have a drinking parlor. I really love the bold drapery and fluffy rug. You can see more of the home on Sukio. In case you forgot, the first room I blogged about was this black and white glam indulge daily. 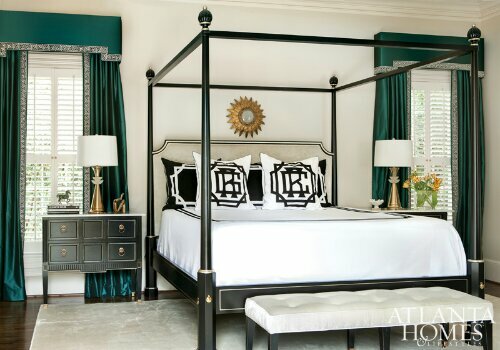 I love the bedroom…especially the emerald green window treatments/curtains. Fab! thinks for this Friday delight!